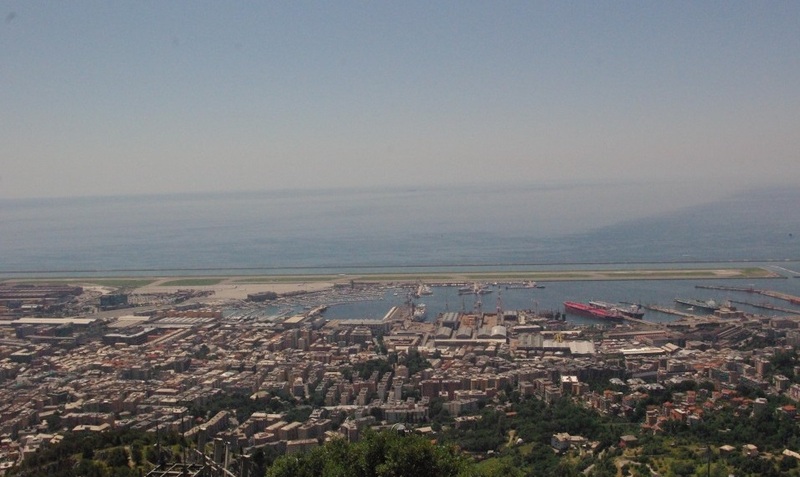 Take the number 1 bus from the city centre towards Voltri to reach Sestri Ponente (you can also get to Sestri if you leave from Voltri, Prà, Pegli, by taking the number 1 towards the centre), a historic location for the Italian shipbuilding industry. Sestri is not only a quarter, it is also a small city inside the big city, a huge working-class heart inhabited by over 46,000 people who, when referring to the city centre, still use the phrase “going to Genoa”. If you go along Via Sestri, the commercial hub of the area, stop in the shadow of the plane trees in Piazza Baracca, a melting pot of generations under the Nostra Signora Assunta basilica. Opposite the church, on the other side of the square, is the charming ‘music stage’ built in 1871. From here take the number 172 bus to the hospital, then continue on foot as you take Via Domenico Oliva. Cross the railway, and the tar will make way for earth and stones as it turns into a path. The walk to the top of Mount Gazzo (419 m, around 1 hour) is not too tiring, but it is not very relaxing either, so be prepared. The mount, with its typical pointed shape and one side disembowelled after centuries of extractions, has a dominant position over the Sestri gulf. As you climb up to the top, it gives breathtaking views. You will see a mass of roofs and facades, the Cristoforo Colombo airport with its landing strip in the middle of the sea. You will capture the whole city in its length, from Nervi to Voltri, as far as Corsica on the sunniest days. When you reach the top, the balcony of the Nostra Signora del Gazzo sanctuary is an explosion of joy.